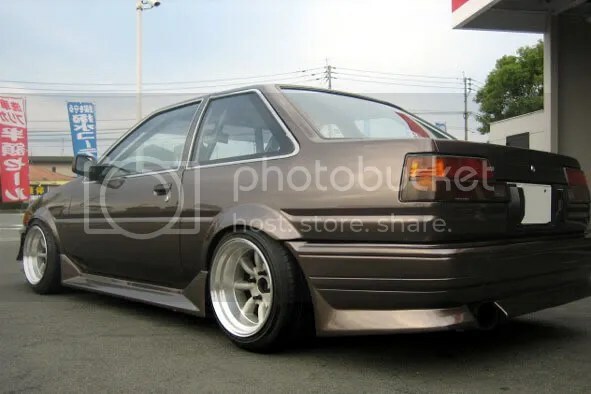 Can’t think of anything clever for this bit: Tough AE86 – Garage Dusty Exciting Car Team! This new naming convention for the posts might be running a bit thin already. 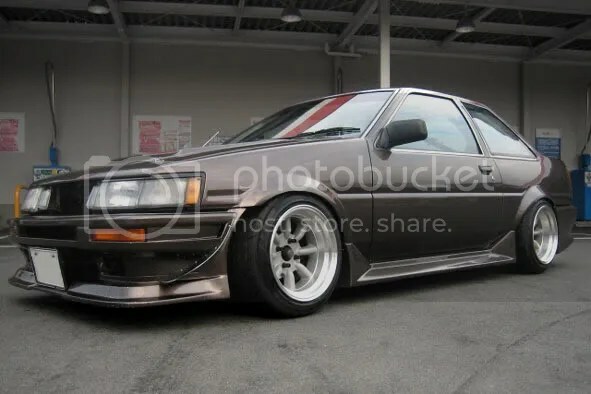 This is the first appearance of an AE86 on the blog! And note that it is a coupe, not a hatch. Because the coupes look around 2.6 million times better. Go on Toyota nerds, sook away. I’m right. This isn’t just any 86 either – it is damn near perfect. Watanabes – 15×9 -13 front, 15×9.5 -19 rear. I wish Superlights had this much dish.